The Bahamas consist of 29 islands, 661 cays, and 2,387 rocks. The country is located in the Atlantic Ocean north of Cuba, Dominican Republic and Haiti, northwest of the Turks and Caicos Islands and southeast of the United States (nearest to the US state of Florida). Its total land area is 13,939 km2 with an estimated population of 330,000. Bahamas Capital City is Nassau. 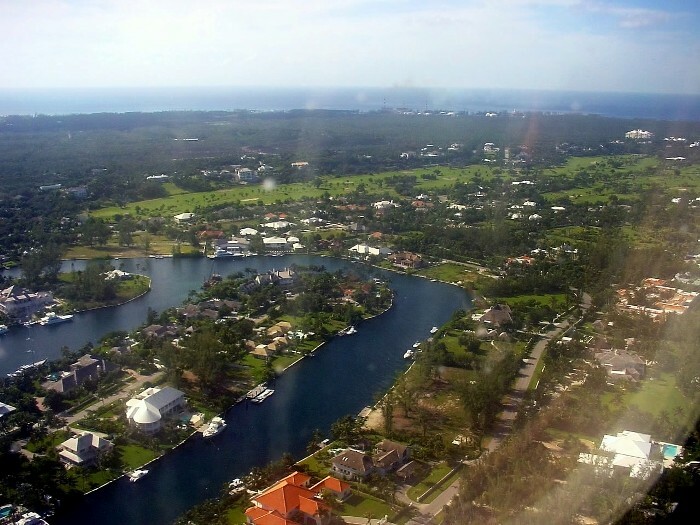 The images in this gallery were taken out of airplane window during approaching the Nassau airport.